Prof Sanjay Bakshi, the authority on value investing, is known to be a stickler when it comes to buying stocks. He has a no-compromise approach and buys only those stocks which have high quality in terms of management, corporate governance, moat, brand image, market dominance etc. As one can see, Prof Sanjay Bakshi is a believer in the merits of a concentrated portfolio. 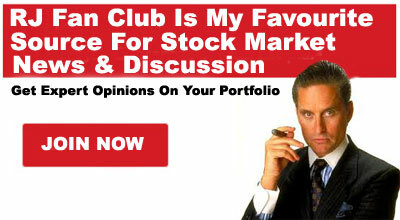 He has invested in only a handful of stocks and has large exposure to each of them. CCL Products is the flagship of the portfolio. The stock was first recommended by Rahul Arora of Nirmal Bang in 2014 when it was available at the throwaway valuation of Rs. 80 and he has been periodically egging investors to buy the stock. At the CMP of Rs. 347, gains of 300% are on the table. Even on a YoY basis, the stock has delivered a hefty gain of 78%. Kitex Garments is a favourite of Sanjoy Bhattacharyya, the doyen amongst value investors. He has described Kitex as a “hidden gem” quoting at “compelling valuations”. Unfortunately, the stock has not performed as well as its’ peers owing to concerns regarding accounting issues. However, the stock has come back into favour after announcing a bonus issue and does have supporters. Kitex Garments up 20%. Monstrous move. Bonus shares to be considered. Stock out of favour since long. Ambika Cotton is a favourite of Billionaire Narayana Murthy. His Catamaran Advisors LLP holds 240,305 shares as of 31st March 2017. The stock has done well with a 54% YoY gain. It was earlier believed that Prof Sanjay Bakshi had sold off Wonderla Holidays because it no longer appeared as a holding of the Valuequest India Moat Fund as per the BSE. However, a close study reveals that this may be an error on the part of the BSE. As per the shareholding pattern filed by Wonderla Holidays with the NSE, the Valuequest India Moat Fund continues to hold 11,30,186 shares as of 31st March 2017. 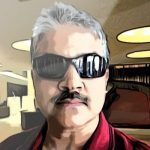 The stock appears to be a high conviction bet for Prof Sanjay Bakshi given that ValueQuest increased the holding of 9,29,039 shares as of 30th September 2016 to 11,30,186 shares as of 31st December 2016, which continues as of 31st March 2017. However, for reasons that are not known, Narayana Murthy’s Catamaran, which held 5,65,304 shares in Wonderla as of 30th September 2016 appears to have sold off the stake as of 31st December 2016. TVS Srichakra, the blue-chip small-cap company, is the latest stock to be given pride of place in the Valuequest India Moat Fund portfolio. Lets’ take a quick look at the fundamentals of TVS Srichakra. As one can see, TVS Srichakra has all the virtues that one looks for in a stock. It has a high RoE and RoNW, high operating and net margins, low debt – equity (0.28x). The stock is presently quoting at a P/E of 16x. 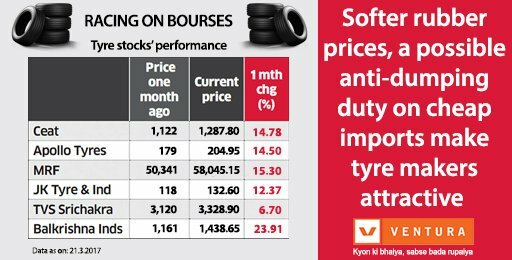 This is reasonable given that most tyre companies quote at that range given that they are quasi-commodity stocks (owing to the sensitivity to rubber prices). 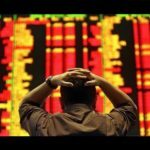 The stock offers a dividend yield of 1.57, which provides some downside protection. According to the ET, rubber prices have touched their lowest level of 2017. Since 1st February 2017, rubber prices have tumbled over 10 per cent and are presently quoting about Rs 139 a kg. This has sent all tyre stocks soaring because rubber is the primary raw material. 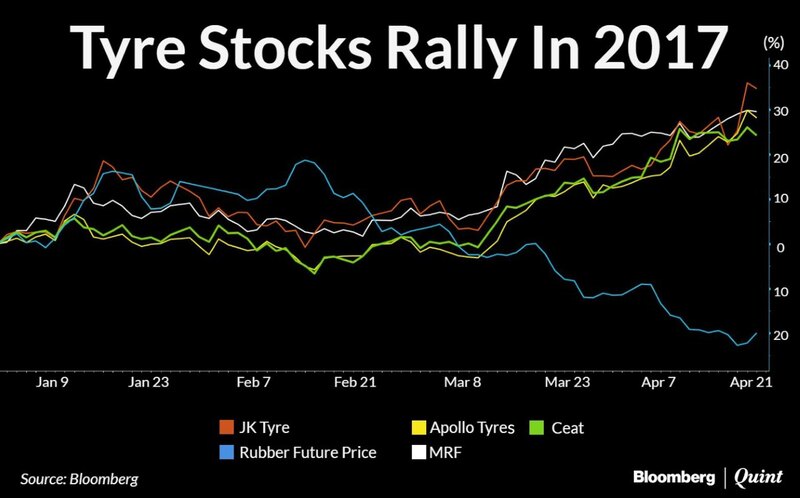 However, Jayesh Khilani of Bloomberg cautioned that the party may be over soon for tyre stocks because rubber prices are showing signs of firming up. TVS Srichakra’s USP is that it is focused on two and three wheelers and does not have a presence in four wheelers. “While competitors such as MRF and CEAT have a presence across segments, our bread and butter comes from the two-wheeler and three-wheeler markets. We have made a conscious decision to stay in this segment, as it gives us the opportunity to work closely with manufacturers on the technology and development process. We are able to offer them specifically designed tyres for every new model of theirs. It is a collaborative effort between us and the vehicle manufacturers”. Anti-dumping duty to be levied on tyres? The Automotive Tyre Manufacturers’ Association (ATMA) has filed an application on behalf of the domestic producers — Apollo Tyres, J K Tyre Industries and Ceat Ltd for the investigations in dumping of the tyres. The Directorate General of Anti dumping and Allied Duties (DGAD), in its investigation, has found sufficient prima facie evidence of dumping of the tyres by Chinese companies. If anti-dumping duty is levied, it will be a big boost for all tyre companies because the dumping by the Chinese at predatory prices will be stopped. Tyre stocks will be re-rated? 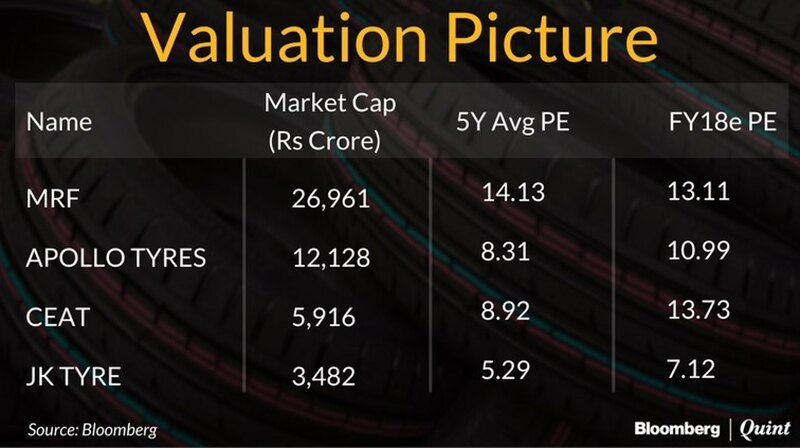 According to CLSA, the global brokerage, tyres could potentially be the next segment within the auto ecosystem to see a re-rating in valuation multiples. The key reason why tyres stocks are ascribed with lower multiples is that they are perceived to be commodity stocks with less pricing power. Interestingly, the current PEs of tyre stocks is lower than several commodity stocks. TVS Srichakra is a 10-bagger? According to Mubina Kapasi, the charming journalist with ET Now, Ambit Capital has short-listed TVS Srichakra as a potential 10-bagger. Prima facie, Prof Sanjay Bakshi’s faith in TVS Srichakra appears to be well founded. The stock does have the optimum balance between growth and safety and is likely to bring cheer to the portfolio of the Valuequest India Moat Fund in the near future! Sales and profits for first 9 months of Fy16-17 are down. Should we not wait before buying? I like Vardhman textiles from Ambit list of 10 Baggers. There are hardly any blue chip stocks are left for investment portfolio of 3 years or more.Majority of stocks are bound to fall before 2019 election.Yes, market is good for traders especially for derivatives strategist. Did prof get rid of relaxo and Thomas cook. Pls. do thorough research before commenting…ValueQuest still holds 1130186	no. of shares of Wonderla that is close to 2%. You must have seen SHP declared on BSEINDIA.COM, which is not upto the mark now a days as it do not give minute details.Earlier it was mandatory to declare name of shareholder having holding more that 1% but now bse excluded them I think. Pls. pursue with bse to be more transparent as earlier. It has been corrected above. I have recommended Emmbi Industries 5 times in this website, starting from 76. I personally invested at 30.5. I am already at 6x bagger and hope to get 20x in three years. Moral of the story – dont depend on icons of the stockmarket to dictate your investment strategy. Happy to know that such an Stock Market Icon Prof Bakshi has got interested in one of the stocks recommended by me almost 1.5 years ago (TVS Srichakra Rs. 3815). Sure it will catch fire now. I still hold it. I also continue to hold Asahi Songwon ( Rs. 295 ), Akshar Chem ( Rs. 826), Thomas Cook (Rs. 216), Atul(Rs. 2503), Sintex ( Rs. 116 ). I got out of IFGL although it has gone up substantially since then. As expected Asahi Songwon and Akshar Chem have done extremely well, while others have been ok. I continue to hold these as I have high expectations from them. In the two new purchases mentioned above Bodal was acquired at Rs. 29/- and was Rs. 40 in Nov 15, its CMP is Rs. 160/- Got out of Manali early. In last 1 & 1/2 year, major gaining purchases had been Eicher (Rs. 26200), SRF(Rs. 1700), V2 Retail(Rs.182), Trigyn Tech(Rs.118), SML Isuzu(Rs. 1328) and Visaka(Rs.318). Major losers/status quo is large pharma Lupin and Sun, Triton Vale, Panasonic Carbon, Foseco etc. Not sure about pharma at all. Expect others to do well in coming years. Have lot of patience. Most of the wrong decision are the ones taken in frustration. Look at cos. with low PE. 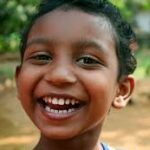 Consider Banks and NBFCs highly overpriced. Have no exposure in them. Keep expectations reasonable. Currently would be happy if I manage 15% return in current year. Keep limits for exposure in 1 co. Not more than 30% purchase initially. Do not cross your maximum limit even if temptation is extremely high. Do not mind portfolio of around 30 scripts. With current computing and information resources, I do not find it difficult to keep track of such portfolio. Most important of all do not exceed your total out of pocket limit irrespective of how loud is the cacophony to increase exposure to equity. This has worked for me. I wish all of you great success with your own strategies. In stock market past is irrelevant and no one be benefited by reading your post now.My request to you is please now recommend your top 5 Picks where you are bullish for next two three years to give your repeat performance and readers can also benifited. Talking about past was not what was intended. I have actually indicated what I hold today and what I expect from these holdings. And it was more about how I handle my portfolio. To repeat I expect good performance in next 2/3 years from Asahi Songwon, Sintex, Bodal Chemical, Visaka Industries, SML Isuzu. Further as mentioned above, my definition of good performance in Stock Market is CAGR of ~15%. Any thing above that is a welcome bonus. Last 2 tears have been exceptional. I do not expect a repetition of same. But 15% +, hopefully. Thanks for proactive and Positive response ,my request was just for the sake of future benift to small investers..
Just but Trident and forget for three years. CAGR of 35%. Thanks Joy for the advice. I already hold. May buy some more after seeing your confidence. Hi Arjun, any idea at what price Bakshi bought TVS SRICHAKRA and when? Does’nt seem to reflect in BSE / NSE / MONEY CONTROL? Apologies if I am mistaken. Also Bakshi used to hold THOMAS COOK, RELAXO? status?? 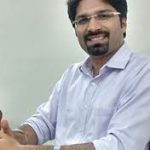 Thank you avinash for sharing your experience of investing in equity market. I love to hear stories of other individuals and experts to understand things and improve upon my knowledge. Congratulations for the great portfolio. Thanks Abhishek. Incidentally, Mahesh has mentioned about Prof Bakshi having Thomas Cook . I must confess that I have made an exception to my own strategy and have about 12% of my portfolio in Thomas Cook. I started investing in it at around Rs. 72/- ( I think in mid 2014), when the news broke about Mr. Watsa likely to acquiring it. Went through details of Mr. Watsa and was convinced that he was capable of turning around Thomas Cook. The performance was dramatic in first two years of purchase. Stock went upto Rs. 250/-. However, it has been in range of 180 to 230 for almost 2 years now. I am still holding as I believe it to be multi bagger from current level also over a period of next 3/4 years. Not writing this to show off, but just to bring it to notice of the fellow boarders, what kind of things influence me. I am sure most of you are also looking into this type of info to make investment decisions. thanks Avinash for sharing. Prem Watsa is in it for long term, so makes sense to hold. When Prem Watsa bought a big stake in Adi fine Chem, i too bought at almost same price. Doubled within a year. Would like to learn more on your picking style. please can you share your email id? It is better to wait for some correction before plunge into Tyre stocks…. surely TVS is a multi-bagger in making due to increased usage of Two-wheeler in metro cities.